With summer right around the corner, I’ve been looking for new grill recipes. Call it wishful thinking, but I’m hoping it soon gets too warm to cook indoors. But last night, the grilling was out of preference, not neccessity. 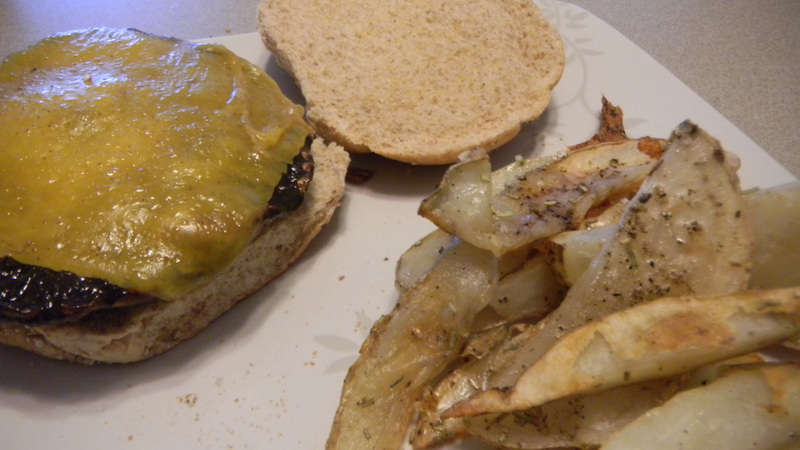 We made portobello burgers with a side of fries. 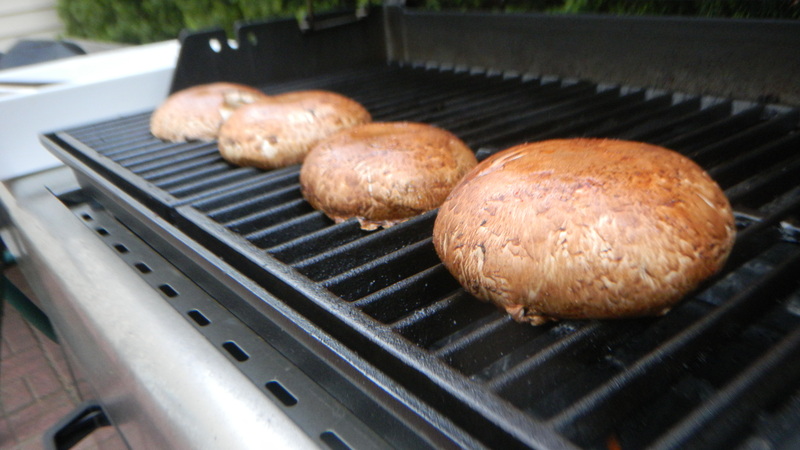 Making the mushrooms is really easy, which is another bonus of grilling. Hardly any prep time. I did a slight modification of this recipe from Mayo Clinic. Who would have thought this recipe is actually good for you? 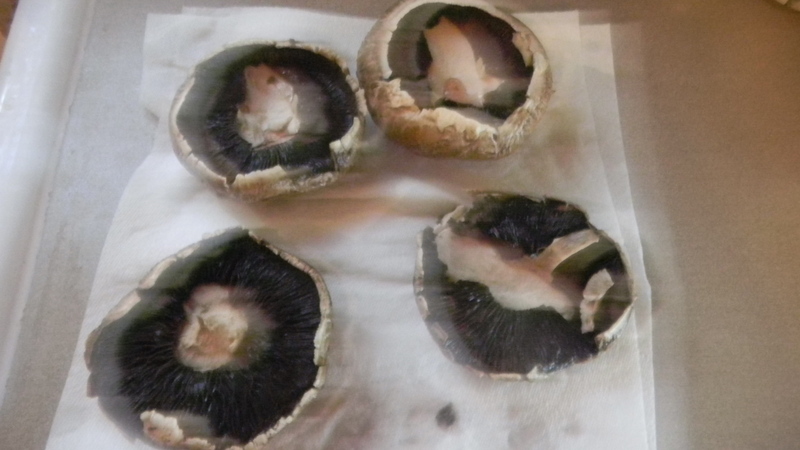 I started by cleaning off the mushroom caps and taking out the stems. 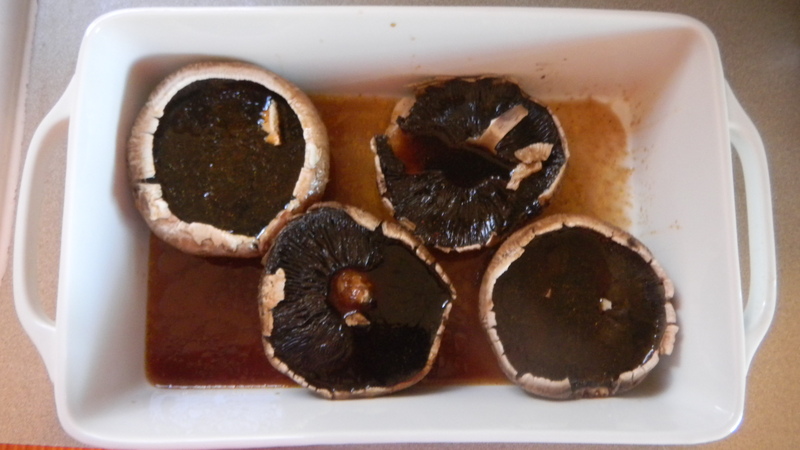 Put the portobellos gill side up in a shallow dish/pan and drizzle the marinade over the mushrooms. Put the mushrooms in the fridge for 30 minutes. 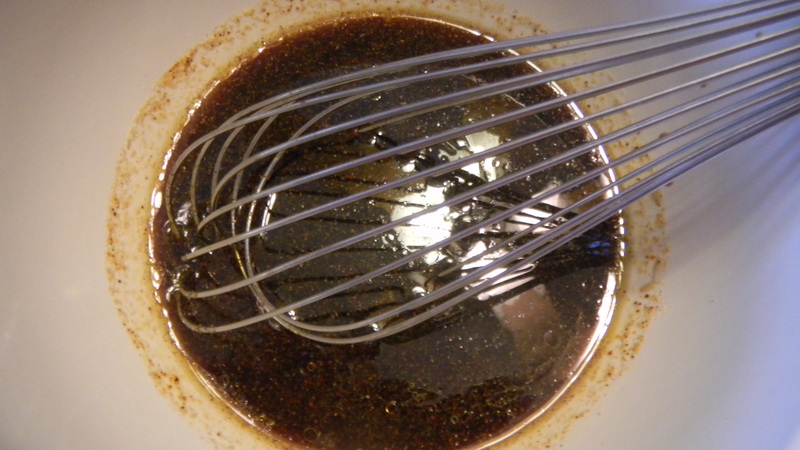 Flip them, then let them marinade for 30 minutes more. Next, fire up that grill! Put the mushrooms on the grill, and save the marinade in the pan. Drizzle the marinade over the mushrooms while they cook. You only need to keep them on the grill for about 8 minutes or so. Too long and the mushrooms will dry out. Put the portobellos on buns, and top with your favorite toppings. We added cheddar cheese to ours, which definitely took the healthy factor down a notch. I think we still came out ahead though. While the marinading and grilling is going on, start your fries. For the two of us, I usually cut up three potatoes and end up with zero leftovers. Modify that as you want. I cut them up into thick slices and leave on the skin. I get out a cookie sheet, line it with tin foil for easy clean up, and spray it with cooking spray. Put the potato slices on one of its sides, being careful not to stack them. 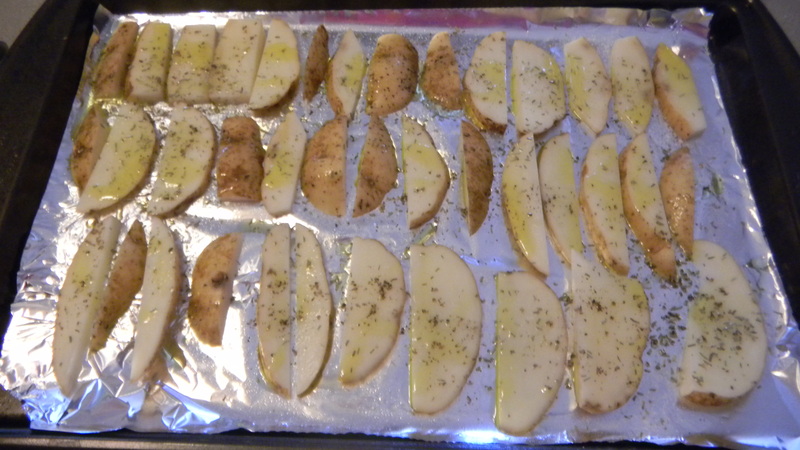 Drizzle olive oil on them, just until each piece has some on it. Then, sprinkle salt, pepper, and rosemary over everything. Bake the fries in the oven at 400 for about 25 minutes. Be sure to flip the fries after 12-13 minutes, or else you will have a heck of a time getting them off the tin foil. As there are only two of us eating this meal, we had two extra portobellos. Chop up the leftovers and throw it in a spinach salad with feta, cranberries, and pecans. A whole new meal for tomorrow’s lunch.